Janine is from grand rapids. She works really hard to make ends meet, and has done a good job of providing Christmas for her family. She has a sweet Downs syndrome daughter who is 17, and has a tight knit loving family. On the night of December 20, 2009, her house was broken into. The thieves stole all her daughter's Christmas presents. They destroyed her Christmas tree. They stole her computer that she saved up for a year to buy, and they smashed her furnace as well. No one knows who broke in, and it seems like there's not going to be much of a Christmas for them. Can you help this family? The items that were stolen were things like educational toys for her daughter, movies on DVD, and size 8 clothes for her daughter. Matching fleece outfits and sweatsuits are things that her daughter really likes. You can also drop the presents off. Call 616-322-2498 to set up a drop-off time. E-mail help@realtimechurch.com for more information. A simple ankle issue turned into multiple blood clots in the lungs and hospitalization for Amy, wife of Eric and mother of five young kids. Eric has missed weeks of work, and in this economy that means disaster. Normal daily activities for Amy have turned into tons of time in a walker and lifelong daily blood thinning shots. Like so many others this Christmas season, this Hudsonville family isn't going to have much of a Christmas. But we can do something about it. One of their biggest needs in this cold weather is simple... blankets, sheets, and pillows. All five kids sleep in twin beds. The family also needs several Rubbermaid-like laundry baskets, and towels of any kind. We can't make Christmas better for everybody this December, but we can sure do a lot for this one family. Even if you feel like the items might not get here by Christmas, send them anyway. We will make sure the family gets everything. Please call 616-322-2498 to set up delivery. There are several families that Realtime Church is working with that have been hit with unemployment this Christmas season. This is a common story in West Michigan this year. One of these families doesn't have enough furniture to fill their house. We need your help. Do you have a spare dresser sitting around? Do you have a small dining room table and or chairs? Do you live in the Kalamazoo area? If you want to donate one or some of these items, e-mail us at help@realtimechurch.com and tell us what you want to donate. Ah winter is in the air... and along with it gluttonous consumerism and excessive political correctness. This year, not only do we have to hide baby Jesus and the camels, we really don't see candy canes or Santa Claus as much. Forget Christmas songs, we're not even teaching our kids holiday songs. I think that this Christmas season correct thing to say is, "happy winter." Lame. But at the same time, if December 25 is just a day for giving our kids an XBOX 360 in addition to their Playstation 3, Wii, Gamecube, American Girl Doll, and 3 bushels of Legos, maybe Christmas isn't such a good idea after all. Go to any Kohls or Bed Bath and Beyond and you will see mountains of merchandise -- 87 different kinds of single cup coffee makers -- all expertly marketed so that we feel inadequate without them. Even with all the baggage, Christmas is pure magic for most of us. But Christmas can be a time of pain for so many. If you have the Internet and are able to read this, chances are you have at least a roof over your head and food to eat. But this Christmas there are millions and millions of people that don't have very basic necessities. Who is taking care of them? Who should be taking care of them? Big nonprofit organizations, missions boards, sad little pink and blue flyers, and burnt church coffee all play their role in helping the less fortunate. But can we get a little more grassroots than that? Can we get a little more aggressive than that? Can we mount up and imagine for a second that we are going to punch hunger in the face? Loose, Untie, Set Free, Break, those are all pretty intense words. And they are proactive. We are not supposed to make the poor and the broken come to us. We need to go to them. This Christmas season, do something. Get a simple gift for someone you don't have to. Make a meal for someone. Find a low-key way to help a hurting person or family you know. Volunteer at a mission. Volunteer at a soup kitchen. Get intense. 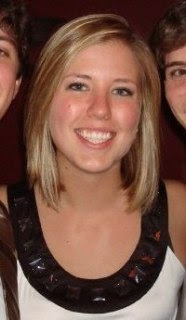 Bridget Albert is a 20 year old junior at DePaul University in Chicago. On Sept. 15 She was walking down the sidewalk on the way to an internship when she and another girl were struck by a car. Bridget suffered severe head trauma and was taken to Northwest hospital in downtown Chicago. After head surgery to remove a bone flap, she was in ICU for more than 3 weeks, and has since been in RIC (rehabilitation institute of Chicago). She continues to progress but has to learn to use her arms and legs all over again. She has a feeding tube and has begun talking again. Her memory is not fully back together, but she seems to have a deepening understanding and her personality is flourishing.